This website is hosted by FreshSites who offer the best hosting experience you can get, and being founded by designers, they know exactly what you need in a web hosting package. They offer a range of services, from simple webspace all the way through to a managed WordPress service. 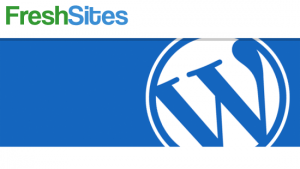 All of their WordPress hosting is on enterprise grade servers which provides a quick, always available platform for your WordPress site. Top that all off with world-class support that their clients praise them for, me included, and you will see they offer the fastest cloud based hosting in the UK. Lightning fast WordPress hosting built from the ground up for ultra responsiveness and stability. No need for fancy CDN’s or low quality images, our hosting is the fastest in the UK. Our security policies are some of the tightest in the industry, without effecting the speed or functionality of your site. Say goodbye to hacking and sign up today! We are developers at heart so we know exactly what we are doing. We can help you get setup and help with the every day running of your site so you can get on and do what you do best! Their customer service is great, you can tweet them, submit a support ticket and if they really need to clarify things they can also give you a call to verify processes. It is a no brainer, FreshSites is a great place to house your website, you also get no issues with memory that some shared hosting have when it comes to uploading images or other media files, they even set up your WordPress installation with all the essentials so that your site is running smoothly.